Tonight, movie lovers from all corners of Bushwick will flock together at 8:00 p.m. to watch the 90th Academy Awards. Jimmy Kimmel returns as host and many will be paying close attention to how he will address the #MeToo movement and the issue of sexual harassment and abuse which has dominated industry discourse this year. Given the importance of the conversation and scale of the event, we can expect that many members of the Hollywood community will also be using this platform to speak out. That being said, this has been a bang up year for films and while Three Billboards is the clear front-runner for Best Picture, an upset win from, Lady Bird, Dunkirk, The Shape of Water, Call Me by Your Name or Get Out would be surprising, but certainly not undeserved. We reached out to local bars and restaurants to see what their set-up will be this Sunday, and six lovely establishments confirmed they plan nothing less than an epic Oscar night. So take your friends, and allow these bars to take care of you! 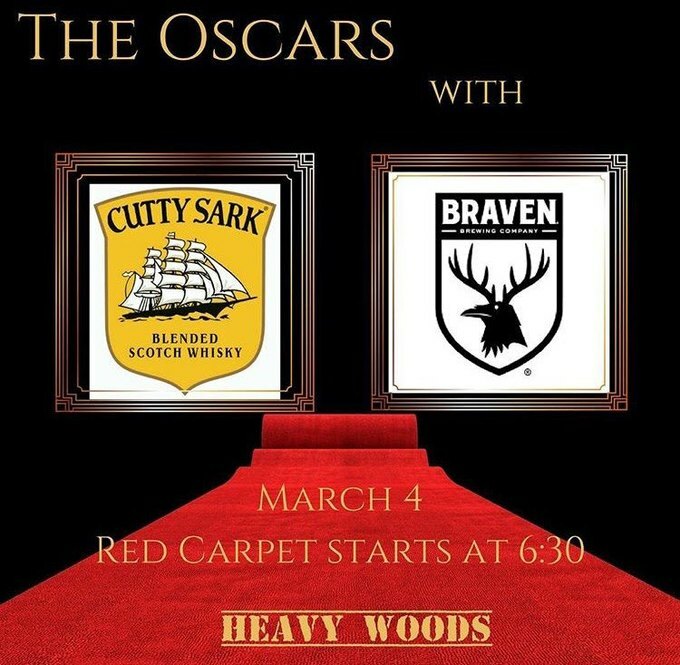 WHAT: Cutty Sark, Braven Brewing Co. and your favorite neighborhood local, Heavy Woods, are banding together to bring you the Oscars, featuring specials including: $5 beer and ballot, $8 beer with Cutty shot and ballot. 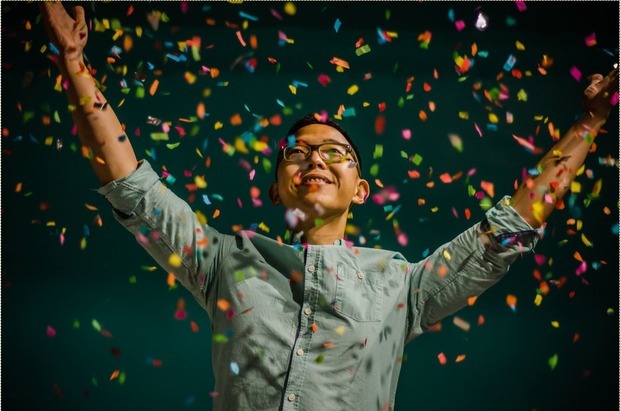 Ballots in by 8 p.m., prizes for winners! 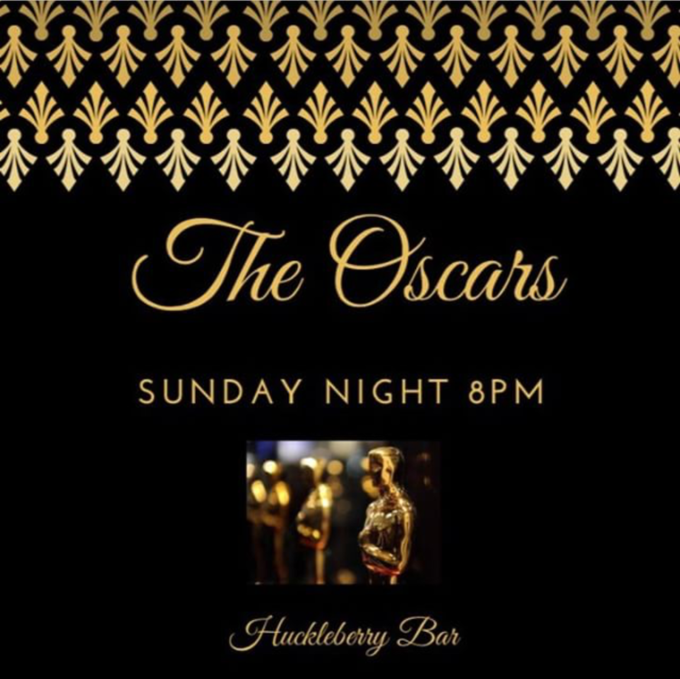 11TH ANNUAL OSCAR PARTY AT HUCKLEBERRY BAR!! WHAT: Walk the Red Carpet at Huckleberry Bar's 11th Annual Oscar Party! Watch the event on their movie screen and take advantage of drink specials! Best Ballot wins a bottle of Bubbles! WHAT: Watch the Oscars with Glamour a Precious Metal's Oscar Party. 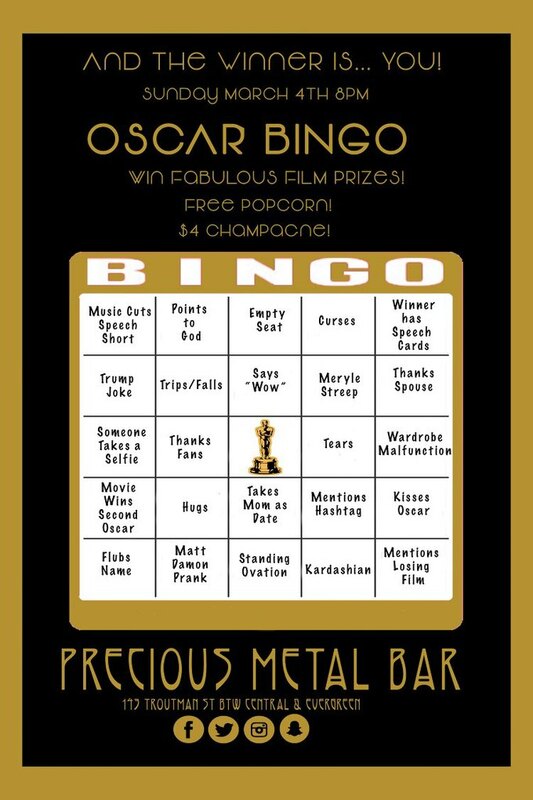 Enjoy free popcorn and $4 dollar champagne cocktails while you play Oscar Bingo to win fabulous film prizes! 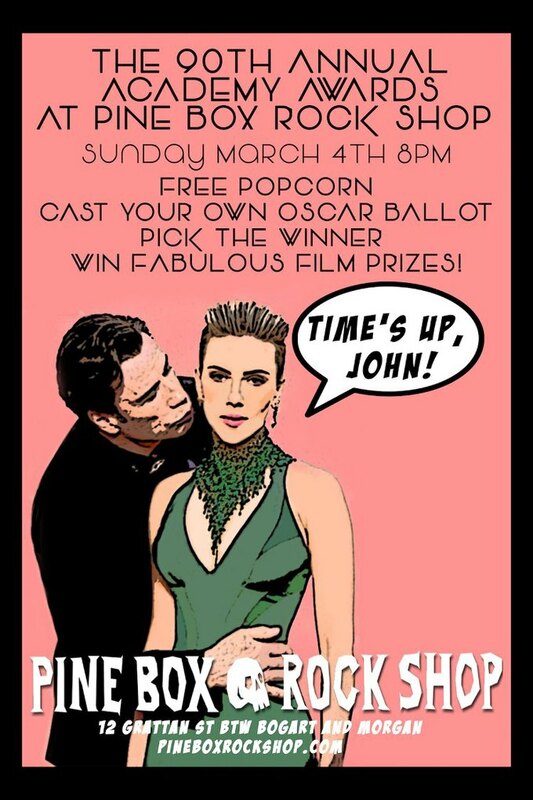 WHAT: Bushwick's longest running Oscar Party! Live with sound on all screens. Fill out an Oscar Ballot and win film prizes. Free Popcorn and $4 champagne! WHAT: Oscars Oyster party at Mominette! 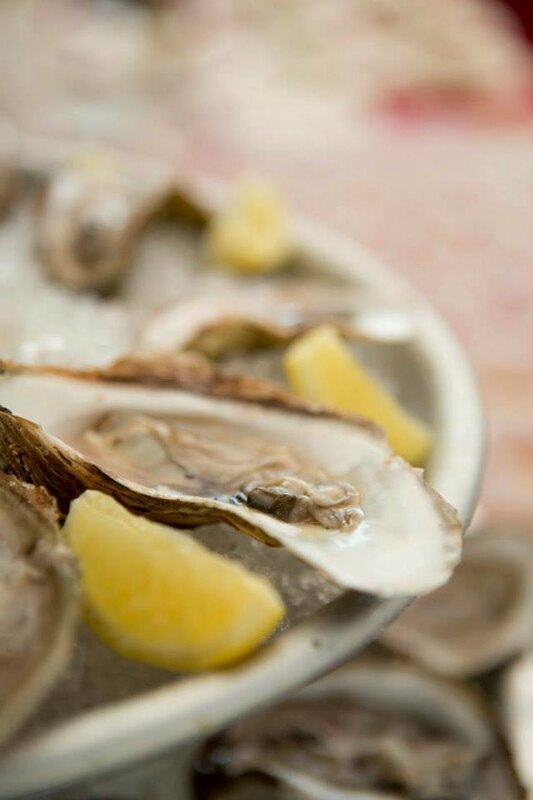 Enjoy all oysters for only $1. East coast, west coast, just a buck. Pair it with a $6 cocktail special or any of our draft beers. WHAT: Don't miss any of the red carpet action starting at 6:30pm, followed by the award show at 8pm. 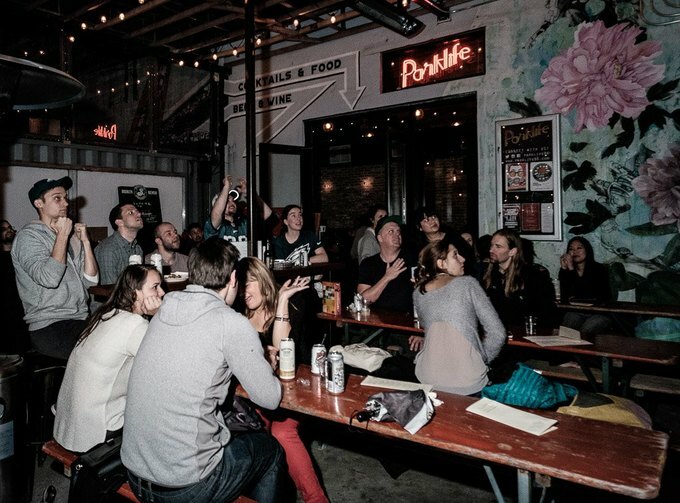 Parklife will be screening the event on two screens, plus they will have themed drink specials, ballots, and prizes from Kick Axe Throwing, Gowanus Souvenir Shop, their sister joint Littlefield, and more! It's free to attend - no RSVP required. Seating is limited, so get there early to ensure a good seat!